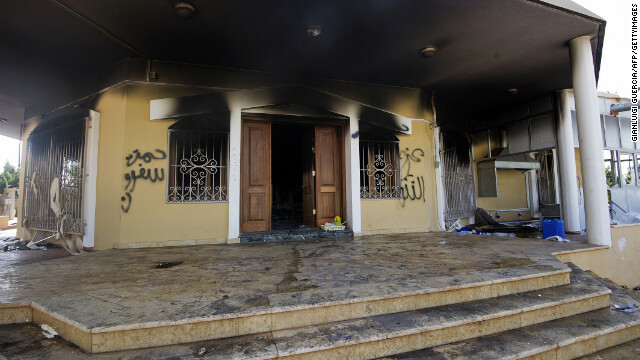 The United States has "pretty good indications" that a man now held in Libya may have been involved in the deadly assault on the U.S. diplomatic compound in Benghazi, the chairman of the House Intelligence Committee said Sunday. A U.S. official, speaking on condition of anonymity, told CNN last week that the FBI had been able to question a man identified by sources as Faraj al-Shibli. But it was still not clear what role, if any, al-Shibli may have played in the September 11 attack that killed U.S. Ambassador Christopher Stevens and three other Americans. A source briefed by Western intelligence officials said al-Shibli had recently returned to Libya from Pakistan. 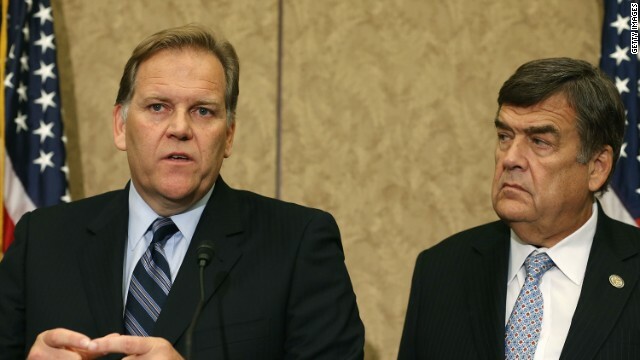 "We're not sure yet," U.S. Rep. Mike Rogers, R-Michigan, told CNN's State of the Union. But. Rogers added, "we have pretty good indications that he is, at least, highly suspected of being involved." A top U.S. congressman expressed concern about the "stability" of North Korean leader Kim Jong Un after months of provocative statements and behavior from the nuclear-armed communist state. "You have a 28-year-old leader who is trying to prove himself to the military, and the military is eager to have a saber-rattling for their own self-interest," said Rep. Mike Rogers, the chairman of the House Intelligence Committee. "And the combination of that is proving to be very, very deadly." 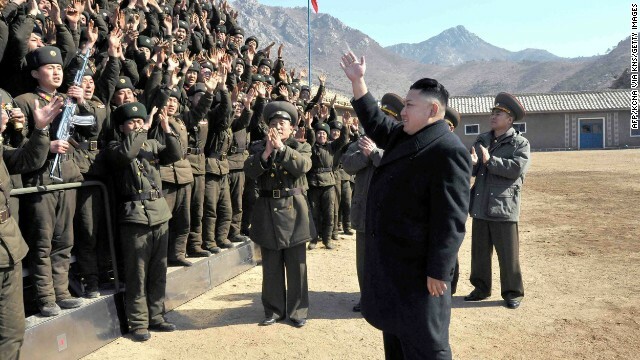 North Korea launched a satellite into orbit atop a long-range rocket in December, conducted its third nuclear weapons test in February and announced earlier this month that it was abandoning the 1953 armistice that ended the Korean War. 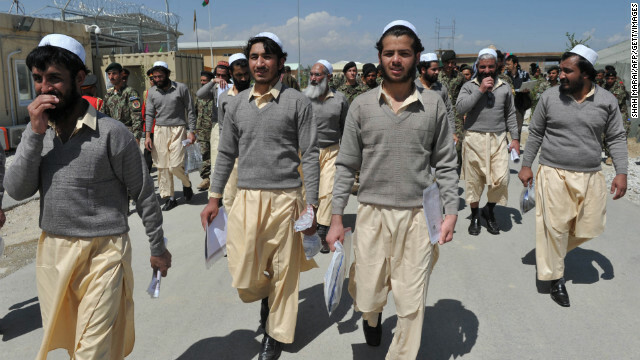 Newly-freed Afghan prisoners walks after a ceremony handing over the Bagram prison to Afghan authorities, at the US airbase in Bagram north of Kabul on September 10, 2012. There's a new one-week deadline for handing over control of a U.S.-run detention center near Bagram Air Base to Afghan authorities, Afghanistan's president said Sunday. On Sunday, Hamid Karzai's office said in a statement that he had agreed to a request from U.S. Defense Secretary Chuck Hagel for one week "to carry out the full handover the prison." "President Karzai agreed with the new time request and reminded Secretary Hagel that the transfer has been delayed several times in the past and that this time, the handover should take place," the statement said. The highest-ranking officials on the House intelligence committee continued to warn Sunday of the increasing cybersecurity threat to the U.S. economy and national security. Republican Rep. Mike Rogers, the committee's chairman, spelled out the different levels of cyberattacks during an appearance on CNN's "State of the Union" and cautioned that the worst of those – a debilitating hit by a terrorist group - could become reality. "We know that terrorists, non-nation states, are seeking the capability to do a cyberattack. They're probably not there yet," he said, sitting next to the ranking member on the committee, Democratic Rep. Dutch Ruppersberger. Read more on CNN's Political Ticker.